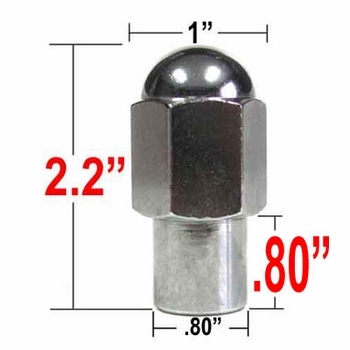 Our Chrome Duallie lug nuts have a superior seating surface and you will appreciate the long lasting quality of these Chrome Duallie lug nuts. You will find that Chrome Duallie lug nut torque easily and give the finished look to your wheels. Rare item to find. My application is over 20 years old. I only need one and was lucky to find it.